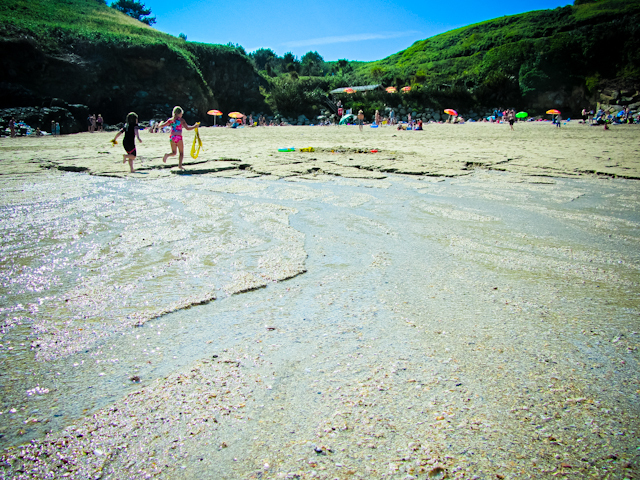 Sarah Craig:: Traveller::Photographer::Blogger: Herm Island: Where's the sea gone? 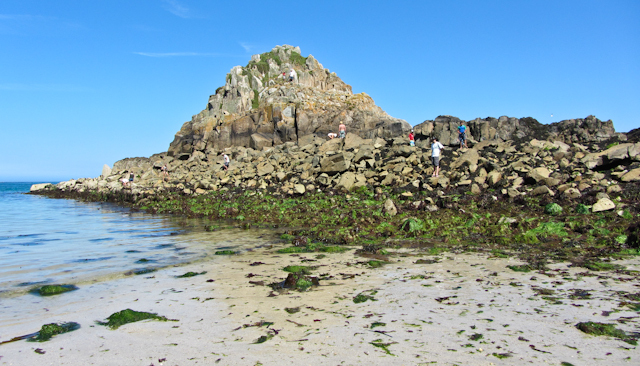 Herm Island: Where's the sea gone? 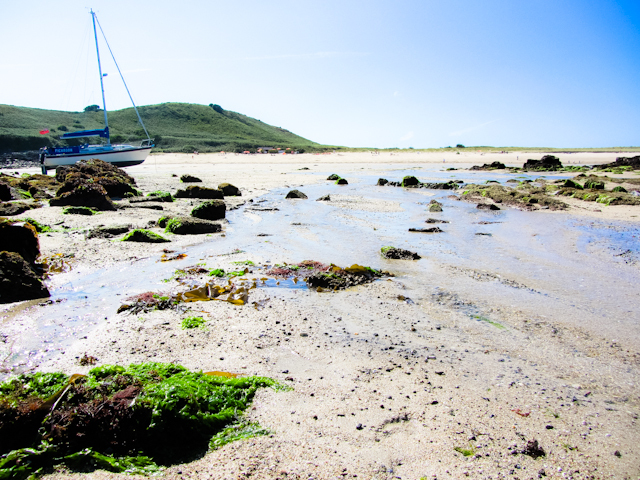 Today my day off happened upon a day when the weather was glorious and the tide was one of the lowest of the year, meaning I could capture some rare views of Herm! 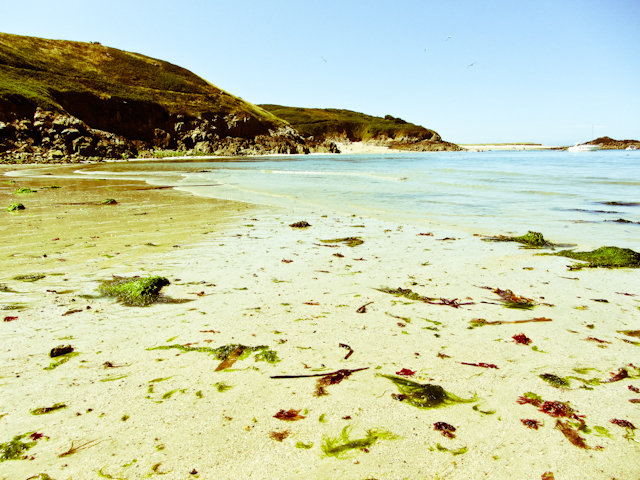 When the tide is low it basically turns the back of the island into one long beach where it is normally divided into Shell, Belvoir and the cliffs. 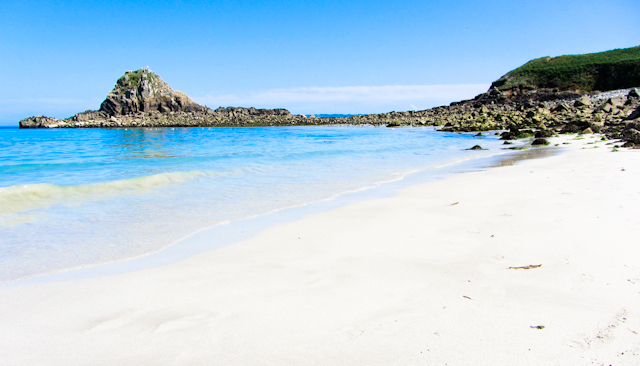 So the first thing I went to explore was the island of Caquorobert, no longer an island at this low tide. So here's a view you don't normally get to see. I've taken this panorama from a spot I call 'viewpoint' on the cliff path before, but here you can see Belvoir and Shell beaches plus this new beach that appears just a low tides. And I was very excited about getting walk between Belvoir and Shell by the beach! Here is a picture you cannot achieve every day... Standing on land halfway between the two beaches. 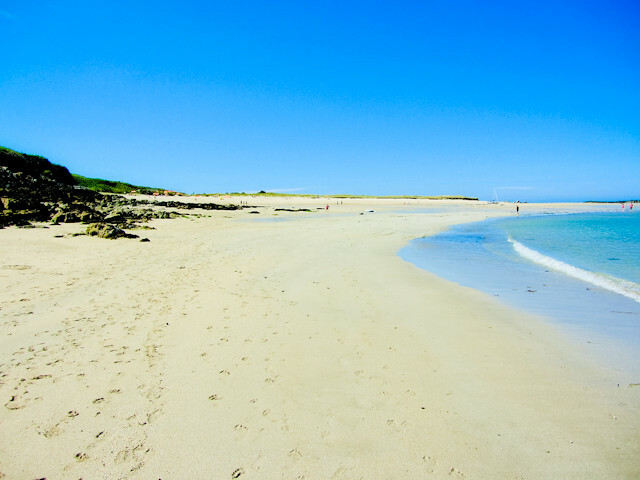 Shell beach looking more like a desert than a beach! You can just about see the umbrellas of the cafe in the distance! It's a long way for a quick paddle! And then I dashed over to the front of the island. 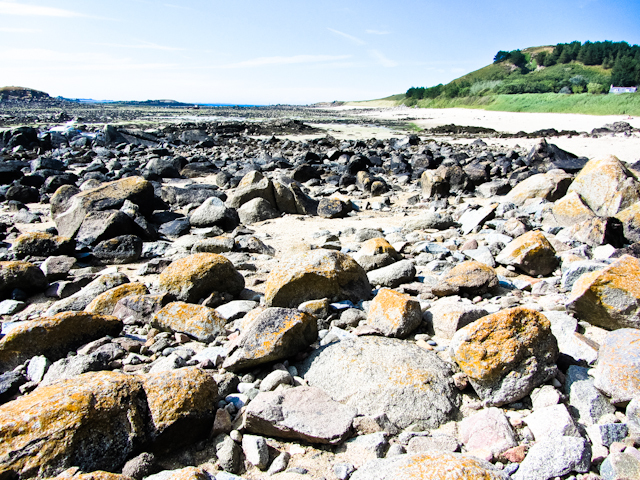 Low tide shows clearly why this side of the island is less appealing to visitors. 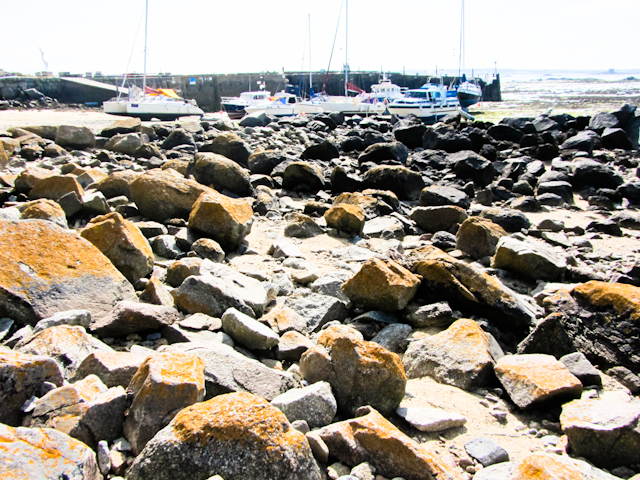 Bears and Fisherman's beaches all one and all rocky now. It was really nice to get to take some photos from a new perspective! Tomorrow is a really exciting day... more on that to follow!